Viktoria Mullova studied at the Central Music School of Moscow and the Moscow Conservatoire. Her extraordinary talent captured international attention when she won first prize at the 1980 Sibelius Competition in Helsinki and the Gold Medal at the Tchaikovsky Competition in 1982. She has since appeared with most of the world’s greatest orchestras and conductors and at the major international festivals. Her interest in the authentic approach has led to collaborations with period instrument bands (Orchestra of the Age of Enlightenment, Il Giardino Armonico, Venice Baroque, Orchestre révolutionaire et romantique). 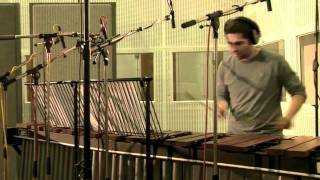 Viktoria has a great affinity with Bach and his work makes up a large part of her recording catalogue. Her interpretations of Bach have been acclaimed worldwide. Her ventures into creative contemporary music started in 2000 with her album Through the Looking Glass in which she played world, jazz and pop music arranged for her by Matthew Barley. This exploration continued with her second album The Peasant Girl, a tribute to her peasant roots. Her most recent project, Stradivarius in Rio, is inspired by her love of Brazilian songs. Highlights of the season 2018-19 include engagement with the BBC Scottish Symphony Orchestra, the philharmonisches staatsorchester hamburg, the Seattle Symphony Orchestra, the Yomiuri Nippon Symphony Orchestra, the London Philharmonic, the Philharmonia Orchestra, the Orchestra della Svizzera Italiana, and the Hallé Orchestra. Viktoria works with such esteemed conductors as Sir Mark Elder, Thomas Dausgaard, Kent Nagano, Ludovic Morlot, Andres Orozco-Estrada, Giovanni Antonini, Markus Poschner and Paavo Järvi. In addition of her european recitals with the pianofortist Alasdair Beatson, Viktoria will tour and perform several recitals in major cities of China (Xi’an, Shenzhen, Shanghai) and Japan (Tokyo and Yokohama). Mullova’s extensive discography for Philips Classics and Onyx Classics has attracted many prestigious awards. Hermost recent all-Prokofiev disc (released in August 2015) has once more received critical acclaim. Her interest in the authentic approach has led to collaborations with period instrument bands such as the Orchestra of the Age of Enlightenment, Il Giardino Armonico, Venice Baroque and Orchestre Révolutionaire et Romantique. 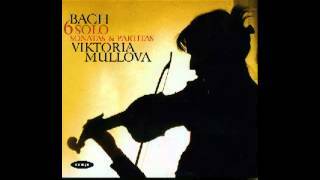 Viktoria has a great affinity with Bach and his work makes up a large part of her recording catalogue. 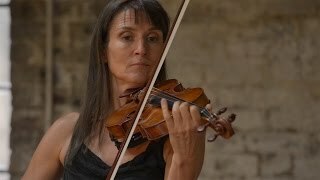 Her interpretations of Bach have been acclaimed worldwide and led Tim Ashley to write, “To hear Mullova play Bach is, simply, one of the greatest things you can experience…” in the Guardian. Her most recent disc of Bach Concerti with the Accademia Bizantina and Ottavio Dantone has been highly praised and her recording of Bach’s solo Sonatas and Partitas represents a significant milestone in Viktoria’s personal journey into this music. The recording received 5-star reviews from all over the world and she has embarked on an international several season-long series of solo Bach recitals. Her ventures into creative contemporary music started in 2000 with her album Through the Looking Glass in which she played world, jazz and pop music arranged for her by Matthew Barley. This exploration continued with her second album, The Peasant Girl, which she has toured around the world with the Matthew Barley ensemble. This project shows a different side to Viktoria as she looks to her peasant roots in the Ukraine and explores the influence of gypsy music on the classical and jazz genres in the 20th Century. 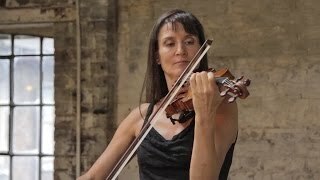 Her most recent project, Stradivarius in Rio, is inspired by her love of Brazilian songs by composers such as Antonio Carlos Jobim, Caetano Veloso and Claudio Nucci. A CD of the same name has been enthusiastically received and she is now presenting the project in planned concerts throughout Europe. As well as her own projects, she has also commissioned works from young composers such as Fraser Trainer, Thomas Larcher and Dai Fujikura. Highlights 18-19 include engagement with the BBC Scottish Symphony Orchestra, the philharmonisches staatsorchester hamburg, the Seattle Symphony Orchestra, the Yomiuri Nippon Symphony Orchestra, the London Philharmonic, the Philharmonia Orchestra, the Orchestra della Svizzera Italiana, and the Hallé Orchestra. Viktoria works with such esteemed conductors as Sir Mark Elder, Thomas Dausgaard, Kent Nagano, Ludovic Morlot, Andres Orozco-Estrada, Giovanni Antonini, Markus Poschner and Paavo Järvi. Mullova’s extensive discography for Philips Classics and Onyx Classics has attracted many prestigious awards. Her recording of the Vivaldi Concertos with Il Giardino Armonico and directed by Giovanni Antonini, won the Diapason D’Or of the Year award for 2005 and her recording featuring Beethoven’s Op 12 No 3 and Kreutzer Sonatas with Kristian Bezuidenhout won immense critical acclaim. Other discs have included the Schubert Octet with the Mullova Ensemble, Recital with Katia Labèque, Bach Sonatas with Ottavio Dantone and 6 Solo Sonatas and Partitas by J-S Bach. Mullova’s most recent all-Prokofiev disc (released in August 2015) has already received critical acclaim.